Crown Paper & Janitorial of Walla Walla – Walter E. Nelson Co.
Walter E Nelson Co. is proud to offer the largest and most comprehensive selection of Facility Supplies, Paper, Cleaning Solutions, and Packaging products from the most highly respected manufacturers in the industries. Walter E Nelson Co. represents the premier equipment manufacturers in America. From “hospital quiet” vacuums to industrial ride-on scrubbers, we carry (and service) the highest productivity equipment to make your facility cleaner, safer, and healthier. 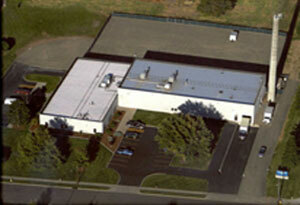 Walter E Nelson Co. is a premier supplier of packaging and shipping supplies. We specialize in Stretch Film, Packaging Tape, Corrugated Boxes, Void Fill, Shrink Film, and offer the full spectrum of packaging materials. We are the Pacific Northwest's choice in commercial washers and dryers - plus the soaps, cleaners, and specialty chemicals that enable their superior performance. Protect your investment, maximize your cleaning potential and image by partnering with Walter E Nelson for all your service needs. Fill out the online form to request equipment service. Upon receipt, we will contact you to follow up on your request. Located in the Southeastern corner of Washington, Walla Walla has seen recent dramatic changes from the world famous “Walla Walla Sweet” onion and expansive wheat fields. Wineries, large and small, have found the rolling hills and climate as the perfect recipe for grapes. Several of the local wineries have received top marks from major publications like Wine Spectator and the Wine Advocate and the wines themselves are gaining fans worldwide. Walla Walla has become a “must see and experience” destination in the Northwest. No matter your industry, old or new, Crown Paper and Janitorial, located on Avery Street, is proud to support the Walla Walla community with our expertise of helping you provide clean, safe, and healthy environments. Whether you need a consultation for your sustainability objectives, or simply have a nasty stain in the carpet, we are here to help. We offer a wide range of chemicals for both hard floor and carpet along with all the tools you need to clean – From battery powered autoscrubbers for large areas to powerful vacuums to reach the tiniest crevasses. We can also do a site survey and provide detailed recommendations to make sure you are getting the most “bang for the buck” for your MRO expenditures. Crown Paper and Janitorial represents the largest and most respective janitorial products lines in the industry. We will deliver next day or you can stop by our 50,000 sq.ft warehouse location for immediate Will-Call. Whatever your Jan/San need we have the containers, mops, wipers, can liners, and “green” chemicals to get the job done. All content © Walter E. Nelson Co. All rights reserved.